Shop DutchCrafters Amish Furniture for all your bedroom furniture needs! At DutchCrafters, we work with the best Amish woodworkers in the country and make it our mission to deliver a unique product for every customer that we get to work with. Start your journey toward custom bedroom furniture. Customizing Amish furniture is what we specialize in. There are standard furniture customizations that you will see listed in the options and across the site, but we will work with our Amish woodworkers to do additional bedroom customizations if there is something that you would like to do that is not listed on our site. At DutchCrafters, we offer all sorts of custom solid wood bedroom furniture options to fit your unique bedroom suite. 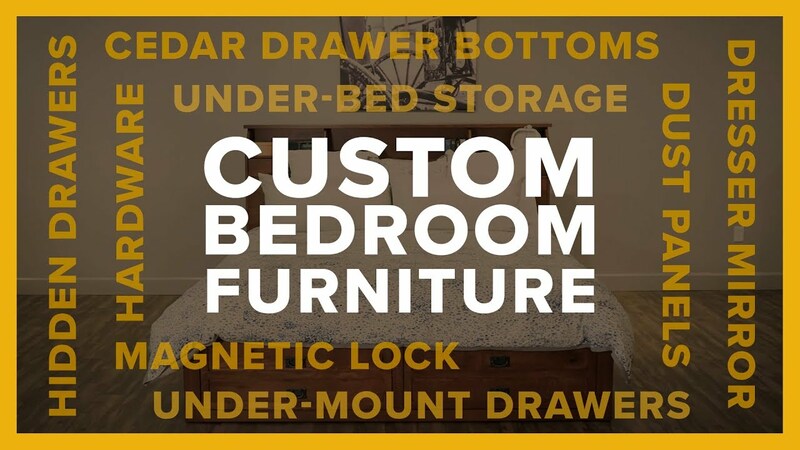 Some custom options that we offer include – undermount soft-close drawer glides for case pieces, custom furniture dimensions, hidden nightstand drawers, a platform option and under bed storage for certain beds, a low footboard option on some beds, cedar drawer bottoms for our case pieces and more! Check out our site today and see why DutchCrafters is the #1 place to purchase new heirloom quality bedroom furniture.